Announcement Welcome to Kei & Molly Textiles, LLC. We are a textile design company committed to creating the highest-quality hand-printed fabric goods, while doing good for our community. Learn more about us on our About Page. Welcome to Kei & Molly Textiles, LLC. We are a textile design company committed to creating the highest-quality hand-printed fabric goods, while doing good for our community. Learn more about us on our About Page. What can I say? Another beautiful, meaningful, well made product from Kei & Molly. I have quite a collection and have given several as gifts. This pattern is so cute. I especially like the cat with his leg in the air! This pattern is so fun and cheerful! These are adorable! Excellent quality and fast shipping! I bought these as part of a wedding shower gift as they go well with the brides favorite things. As I have not used them I can't say anything about how the print lasts, but they are large and cute! We founded Kei & Molly Textiles, LLC in 2010 as a printing studio dedicated to creating artisan-quality, hand-printed fabric goods -- all with the goal of creating good jobs for immigrant and refugee women in our community. With our business, we hope to help re-vitalize Albuquerque's International District. We are old school. All of our silkscreens are pulled by hand on our 15 yard-long table. Our largest screens are developed in the New Mexico sun! We mix all of our inks by hand. And our images actually start as paper-cuts before we even turn on the computer for designing. Being environmental stewards is also important to us. Our studio uses only water-based, non-toxic inks to minimize our impact on the environment -- no plastisol, please! Our product line is also made using only 100% natural fibers. We hope you enjoy our offerings! We are Kei Tsuzuki & Molly Luethi -- two friends who started a printing studio mid-career. We love printing, designing, and creating a great place for women to work! Remy is from the Philippines and is our shipping coordinator. She has a great eye for detail and keeps us organized! Print List Manager And Trainer. Esther is from Congo and has become a great printer! She speaks many languages and helps us with Swahili translation when we need it. Ink Manager And Print List Manager. Liberata is from the Congo and is a great printer. She keeps us amused with her sly sense of humor! Yeni is from Cuba and makes us laugh everyday. Yeni has been with Kei & Molly since the beginning! Nazifa is from Afghanistan and has a huge heart. Nazifa is learning how to sew upholstery on the weekends. Rainey says she is from Pluto (lol). She is an artist with a printing degree from Tamarind Institute. Misty has lived in Seattle and Brooklyn, she is an artist and huge animal lover. Kailani does wonders for our office. On her downtime she designs lingerie. The four letterpress prints we list are designed by Kei and Molly but printed by 12 Tons of Letterpress in Santa Fe, NM, USA. Some of our sewing is done by local seamstresses. We like to support immigrant women in their efforts to generate income for themselves. All have registered their businesses with the state of New Mexico, and are terrific at what they do! Since we are solely a fabric printing studio, we decided to outsource these to a local company, DMDesigns, Inc. Welcome to Kei & Molly Textiles, LLC. We're excited to be a part of the Etsy community. 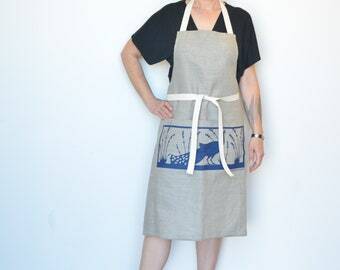 Our shop features our hand-printed flour sack dish towels, European Sponge Cloths, tote bags, scarves, aprons and more. Our designs are original, and we hand-print everything ourselves. We also love working with color. All of our inks are hand-mixed and chosen to complement each other. We appreciate great customer service, and want to provide that ourselves. If for some reason you're not satisfied with your purchase, please contact us immediately in order to resolve the issue. If the item is damaged in any way, we will, of course, replace it at no cost. If you decide to exchange an item, we're happy to do that, but because we are a small shop we are not be able to pay for the shipping. Thank you for your understanding. Please use Credit Cards or PayPal. We'll ship once your payment has cleared. Allow 3-7 business days. Please make sure that your address in PayPal is correct. If you want your order shipped to an address other than the one in PayPal, please let us know. Payment must be received no later than 3 days of purchase, otherwise the sale will be canceled. If you decide to cancel a purchase let us know as soon as possible. Shipments to a New Mexico address will be charged a 7% sales tax. All our packages are mailed first class using the United States Postal Service. Packages over 12 oz ship Priority Post. If you require a different way of mailing or would like insurance, please let us know. For international shipments, you are responsible for any additional customs charges (please do not ask us to mark your form as a gift or change the declared price on the customs forms). Domestic purchases should arrive within two weeks, while international shipments may take longer. If an order doesn't arrive within 30 days of sending (barring delays due to extraordinary weather), we will see what we can do to track the item. If it's lost forever, we will replace your order -- but only once. Let's hope the mail gods cooperate the next time! All buyers will be automatically added to our email listing. This allows us to email you about our sales and coupons, and any other groovy thing we're doing with our store. We do NOT sell our email listing -- ever!!! If you prefer not to be added, you can convo us or simply unsubscribe from our listing when you receive our first email. If you have any other questions, convo or email us at keiandmolly [!at] gmail.com.